City Mayors invited those who participated in World Mayor 2005 to put questions to Mississauga Mayor Hazel McCallion. The Mayor was runner-up in World Mayor 2005. From the many questions received, a representative selection was forwarded to the Mayor. Below, she replies in detail, as well as with candour and thoughtfulness. Question: As Mayor of Mississauga you have a quest to separate the city from the Region of Peel. What is the main reason and how do you see Mississauga operating in the future, particularly as the Region of Peel provides the police and other services? Mayor McCallion replies: Residents will be interested to know that Mississauga pays over 66% of the property tax in the Region of Peel but only has 48% of the vote on how the regional budget is spent. This will change after the municipal election in 2006 when we will have two additional Councillors and 50% of the vote. Allowing Mississauga to become an independent city would keep taxes in Mississauga, eliminating the need to subsidize the taxpayers of Brampton and Caledon. It would also eliminate the duplication and overlap in service being provided at both the municipal and regional level. Being the third largest city in Ontario and the sixth largest city in Canada, we deserve to have our own voice and make our own decisions, a right given to much smaller municipalities. Also, an overwhelming majority of the citizens of Mississauga are in favour of becoming a separated city. However, at this time the Province has said they will not make any governance changes in Peel, so services for now will continue to be delivered as they have been for the past thirty years. Question: Does Mayor McCallion have any plans to try to merge Mississauga with any other nearby communities? Mayor McCallion replies: We have no plans to merge with any other municipalities. We have always felt that Mississauga being the third largest city in Ontario and the sixth largest city in Canada can stand on its own. Question: I have noticed that a few local and former national politicians have begun announcing their intention to campaign for the position of Mayor of Mississauga whenever you decide to retire. Is retirement something you are contemplating at this time? Mayor McCallion replies: I have no plans to retire and have every intention to run in the next municipal election scheduled for November 2006. I have always indicated that as long as I am healthy and able to do the job, then I will continue to represent the citizens of the City of Mississauga for as long as they allow me to. Question: Your Honourable Mayor, since it will be very difficult to replace a mayor such as yourself for our wonderful booming and peaceful city of Mississauga, what kind of personality and background experience do you think a Mississauga mayor should have? Mayor McCallion replies: I think that a person who runs for Mayor should do so for the right reasons. They should have a genuine respect and concern for the community they serve and should feel that they have something to offer to the community and are able to make a valuable contribution. The key to being a good mayor is to be honest, well prepared and knowledgeable about the city and various issues. Running a city the size of Mississauga involves compromise and the ability to bring together individuals toward a common goal and to manage expenditures and revenue so that we get the greatest benefit from the public funds that we are privileged to administer. Question: What government responsibility/power that is currently handled by the province or at the federal level do you believe belongs in the domain of city leaders? How would such a transfer of power better serve the people of each respective city? Mayor McCallion replies: A somewhat different approach to this question would be what we would like to see change at the federal and provincial level that would help municipalities operate better. In fact, it would be a good first step to stop the continuous downloading that these levels of government force upon us. As an example, as a result of provincial legislation, $44 million of property taxes contributed by Mississauga residents go to the City of Toronto to help pay their social service costs yet we have no say as to how this money is spent. The property tax base is inadequate to meet all the demands placed on it for social and income redistribution programs and public health needs. Such programs should be funded through progressive taxes such as income taxes and should be uploaded to the Province. Municipalities also need access to new, stable and long term source of funding. In cases where the government does provide funding to assist municipalities, such as the gas tax, it is done so with so many restrictions, conditions and limitations that the municipalities are not allowed to use the money in the way that would help them the most, which essentially prohibits us from governing in the most efficient and cost-effective manner. Question: You have succeeded in establishing Mississauga as a city with a distinct identity from Toronto. What do you think will be the greatest challenge of the next mayor of Mississauga and the best advice you could give him/her? Mayor McCallion replies: One of the greatest challenges for the next Mayor will be to address issues such as residential intensification, public transportation and the gridlock problem. I would encourage anyone who is thinking of entering the political arena for the first time to perhaps spend time volunteering on one of the City’s many committees in order to gain a better understanding and some experience on how the City is run before taking on the “top job” so to speak. Question: The question of garbage and what to do with it is a major issue for a lot of cities. I would like to ask Hazel if she has any plans on reducing Mississauga's garbage and future plans for disposal and sites for disposal. Mayor McCallion replies: Presently, the Region of Peel is responsible for all waste collection and recycling for the municipalities of Brampton, Caledon and Mississauga. As such, all matters concerning these issues are dealt with at the regional level. The Region has a goal of achieving 70% waste diversion by 2016 which was established in 1996 and is part of a 20-year goal. The goal of 70% excludes energy from waste and is being achieved through various programs such as the enhancement of the recycling program through the grey box; construction of a network of community recycling centres; and the region-wide expansion of the kitchen organics program. As far as disposal or landfill sites are concerned, the Britannia Landfill Site closed some years ago and there are no plans in the works to open another site. Presently, the Region processes about 250,000 tonnes of waste, 145,000 of which is processed at the Algonquin Incineration Plant in Brampton and the remaining waste is transported to Michigan. The solution to managing waste in the Greater Toronto Area is one that the Province must play a role in to develop technology and disposal sites in Ontario so we can manage our waste locally. Question: Mississauga has grown rapidly, steadily and with excellent planning and forethought since its inception more than 30 years ago. We have become a very efficient and well-serviced city in which it is very comfortable to live, commute, work and play. However, gone are the quaint neighbourhoods of Streetsville, Lorne Park and Clarkson. Can there not be a plan to purposely design mini town-centers in the planning for new subdivisions in our city? A place for people to walk to on Saturday mornings for coffee, or lunch, or to personally meet with other people. Mayor McCallion replies: Mississauga’s planning policies for Port Credit, Streetsville and Clarkson are all directed at conserving and improving the historic nature of these downtown areas. Policies in the Mississauga Plan, the Official Plan for Mississauga, specifically recognize the unique character of these areas, and require development to be oriented to the pedestrian and street; we want to build upon this main street type of development. The historic buildings in these areas are designated under the Ontario Heritage Act to prevent their demolition. The City works with the local business associations in these areas and these areas have very active Business Improvement Associations. However, our vision includes the whole city, and as our City Centre evolves, we need to pay it equal attention. Of course, approaches to planning and building neighbourhoods have come and gone over the years and it is difficult to go back and unwind the past. However, we are working on building people places throughout our city and are currently going through a public consultation process to get input on how we can do more in this area. Question: What are Mayor McCallion's plans to control ‘urban sprawl’ as it relates to Mississauga? Question: Mayor McCallion, I live in the Maple Gate subdivision, South of Osprey Marsh. I love to walk around the greenbelt which gives this area less of a suburb feel. Mississauga in general has an abundance of trees, which adds to its beauty. Are there guidelines that you have established that determine when and where a greenbelt will be added and where and how many beautiful trees will be planted? I love the greenness of our city. Mayor McCallion replies: A number of years ago we inventoried all the natural areas in the City so that we could protect our beautiful trees and natural landscapes in order that our existing and future residents could enjoy these very special areas. When we undertook this inventory we took an “ecosystem” approach, which means we also looked at how individual natural areas connected to other areas. We update this inventory every year and it helps us keep a careful eye on the health of our natural areas. This has been particularly important lately because of infestations such as the Asian Longhorn Beetle and the Emerald Ash Bore and drought conditions. Our annual monitoring allows us to detect threats to our trees and natural areas early on so that we can take the necessary steps to protect them. Further, our forestry staff undertakes planting projects to maintain and enhance natural areas. Once we knew what our valuable natural resources were, we developed policies and practices to ensure their long-term survival. Our official plan designates natural areas for protection and when development applications are proposed, the City acquires natural areas so that they can be preserved. As part of the development process, we require developers to plant boulevard trees so that the beauty and environmental benefits of trees are spread throughout the City. This past summer forestry staff conducted a street tree inventory so that boulevard trees can be properly maintained and enhanced where necessary. The City also has several by-laws protecting trees. We have a by-law that protects boulevard trees from destruction and another seeks to protect mature stands of trees on private land. Question: Given that Mississauga is a melting pot of nationalities, traditions, customs and needs how will you and the members of city council ensure that everyone living in the city has an equal chance to express the above and continue to live in harmony with their neighbours? Mayor McCallion replies: Mississauga is known throughout North America and beyond as a multicultural city and this is something we as Council and the residents of Mississauga take great pride in. We have also supported and encouraged multiculturalism through events such as the Carassauga Festival which this year celebrated its 20th anniversary. We are also able to provide residents or newcomers to the community who have a language barrier with an opportunity to speak to staff at City Hall in their own language due to the diverse make-up of our employees. I also organize an annual multicultural community breakfast where I meet with representatives from various ethnic groups in the city and speak to them about issues in the City and receive feedback from them as to their concerns. Question: Will you use more of your boundless energy to work towards a solution to the increasing problem of sub-standard housing and homelessness in Mississauga? Mayor McCallion replies: Mississauga is fortunate to have a large and varied stock of housing, most of which is in excellent condition. Unfortunately, there are some people in Mississauga that do live in housing that is in need of repair. We know from the last Census conducted by Statistics Canada that 5% of dwellings in Mississauga were in need of major repair. Mississauga has a property standards by-law that establishes minimum maintenance standards to prevent the deterioration of the housing stock. The by-law speaks to both the interior and exterior of a property. This is an important tool that protects tenants in particular. Tenants of rental properties have a right to live in adequate accommodation and for their homes to be kept in proper repair. For low-income home-owners the City delivers the Residential Rehabilitation Assistance Program (RRAP) on behalf of CMHC. This is a forgivable loan program that provides financial assistance to low-income homeowners who live in substandard housing. The assistance is provided so that they can repair their housing to meet minimum levels of health and safety. The program also has a component to assist persons with disabilities to modify their homes to make them barrier free. The City also supports the efforts of Peel Living, which provides non-profit and emergency housing to residents of Mississauga. Integrated throughout the City are many public housing projects providing quality housing to families and seniors with low incomes. There are also a number of private non-profit buildings that compliment the publicly owned housing stock. Question: We think a big problem for Mississauga is that the city has been largely a captive of ‘developers’ who have had pretty much their way with the place. What Mississauga will be like once the glitter and cheap oil are gone one may well imagine. What can Mississauga do now to inject a more relationship oriented approach to community life into its sense of meaning and purpose as a city? Mayor McCallion replies: One example of what the City is doing in this regard is our current “Placemaking” campaign. The City is looking to local residents, businesses and key stakeholders to help shape Mississauga’s City Centre into a vibrant downtown area. 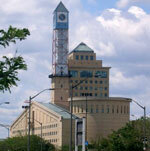 Mississaugans are encouraged to share their ideas at the various public meetings being planned. The City plans to develop a City Centre that will be the major focal point for commercial activity, employment opportunities, cultural, civic, recreational facilities and residential development with an integrated system of parks, open spaces, pedestrian/bicycle networks and transportation facilities. We want to create a City Centre that is visually attractive and has a strong identity. Question: Will Mississauga have a casino, other than the racetrack casino, in the very near future? I believe it would have great revenue potential for Mississauga. Mayor McCallion replies: A commercial casino brings with it additional costs for policing and the impact on the community relating to problem gambling and other societal costs. While the City might benefit with an increase in tourism and in some other financial ways from the introduction of a casino, it would need to be studied very carefully. The impact of a commercial casino in Mississauga would be financially devastating to Mississauga charities and our three charitable bingo halls, their owners and employees. It is likely that all three would close. The $9 million dollars raised in 2004 for over 400 local charities and non-profit organizations would disappear and in order to survive, these groups would return to City Council seeking grants for their programs and services, which benefit Mississauga residents every day. Groups would receive a handout instead of working on a fundraising initiative. These same charitable groups and bingo halls experienced a 40% loss of revenue when the slot machines at Woodbine Raceway in Toronto and Mohawk Raceway in Milton were introduced and revenues remain 20% lower than prior years. It has been demonstrated that the same player who enjoys bingo also enjoys the slot machines. Although the bingo halls have recovered somewhat, the provincial regulations imposed on the charitable bingo halls are extremely strict and yet provincially supported casinos enjoy much more leeway. For example, a bingo hall cannot advertise its events or offer a free bus to pick up interested players from the municipality. A commercial casino can do both, and do so all the time, as you likely know. Question: Mayor McCallion, are you planning to enlarge on the commitment that Mississauga has towards the older citizens and the disabled, especially as this part of our community seems to be the fastest growing in our country, and the least listened to? Mayor McCallion replies: We at the City have long recognized the fact that our population is aging and that we have to adjust our service levels to meet the needs of our aging population. Just recently, Council endorsed a report from staff, “Implications of an Aging Population for City Services”. The report indicated that by 2021, persons aged 55 and older will form one third of Mississauga’s total projected population of about 735,000. Services such as libraries, recreation and parks programs, fire and emergency services, transit and land development issues will all be looked at. As we continue to grow as a municipality the challenge will be to make service changes for senior residents while continuing to provide services to the City’s younger population in a way that encourages an active, healthy lifestyle for all age groups. Also, we have and will continue to address the needs of disabled individuals in our community through the Accessibility Advisory Committee. Question: We hear constantly of cronyism and corruption on every level of government throughout the world. What steps did you take to prevent it in Mississauga? Mayor McCallion replies: First of all, corruption and cronyism stem from a number of factors such as lack of accountability, a weak reporting structure and ambiguous or non-existent corporate policies and procedures etc. What we have done at the City of Mississauga is put into place measures to try to prevent corruption before it happens. We have an accountable and transparent governance system in place; procedures open to public scrutiny; a strong internal audit system; a responsible and effective senior management team; provide the public with access to information; allow public access to Council and committee meetings, and we have ensured that all employees and elected officials are made aware of the expected standards, polices and corporate procedures. We feel that these measures are an effective way to address the issue of corruption and cronyism. Mayor McCallion replies: I have been blessed to have many achievements throughout my career but probably the one I am most proud of is having my vision of what the City would become made a reality. I had an image that Mississauga would grow from a small bedroom community into one of the most vibrant cities in our country and seeing Mississauga become the third largest city in Ontario and the sixth largest in Canada has surpassed my expectations. I also take pride in the fact that we have provided our citizens with a wide choice of housing accommodation and major employment opportunities. Question: What would be your one piece of advice for someone seeking to run for council for the very first time, without any background in politics? 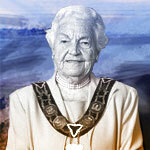 Mayor McCallion replies: My advice to anyone who is considering running for Council would be to first become involved in the community at large and learn how the city operates by perhaps volunteering for the many organizations or applying for appointments to the various committees the City has such as the Traffic Safety Council, Heritage Advisory Committee, Safe Driving Committee etc. The knowledge gained from such experiences provides an individual with some experience and an education, so to speak, as to how the community and government works which will ultimately help them when considering a career in politics. Question: Who are your role models? Mayor McCallion replies: The greatest role model in my life was my mother. She always encouraged me and told me I could do anything I set my mind to. She was a person of great integrity and character and I liked to think these traits rubbed off on me and my siblings. Growing up in the depression, we never had much but my mother, and of course my father, made sure that I and my five brothers and sisters knew we were loved and we had all we really needed. I always have always considered myself lucky to have been a depression era kid for you learn what is truly valuable in life like family and friends. Having such a strong and positive role model early on in life really does give you an advantage and helps you to become strong and an independent individual and one who contributes to society in a positive way. Question: What can cities like Mississauga do towards the fight against worldwide AIDS? Mayor McCallion replies: Having visiting Tanzania, on two occasions, once with the World Health Centre based in Kobe, Japan, and the second visit with World Vision Canada, I was witness to the many dying and starving children who have been left orphaned as a result of HIV/AIDS. When you see that kind of human suffering it awakens something inside you and you feel compelled to help, to make some kind of difference. I established the Hazel’s Hope campaign a few years ago and its mission is to raise funds to provide aid to the thousands of children who have been left orphaned as a result of HIV/AIDS. To date, Mississauga residents have donated over $400,000 to help and I have been amazed and delighted by the generosity and compassion that this campaign has generated in the city and over 75 children have been sponsored. Question: Will we be able to match the superb reception we received in Kariya (Japan), when the Japanese delegation comes to Canada next summer to celebrate the 25th Anniversary of the twinning of Kariya and Mississauga? Mayor McCallion replies: I can assure you that plans are already underway to ensure that the 25th anniversary of the twinning of the City of Mississauga and Kariya City, Japan, is an outstanding success. We have a dedicated team of staff working with the Mississauga Friendship Association to ensure that every detail is looked after and that the delegation visiting from Japan will receive the same excellent hospitality they have become accustomed to over the years. We treasure our sister city relationship with Kariya and will endeavour to ensure that this anniversary is one everyone won’t soon forget. Question: I would be very interested in knowing how the Mayor envisages the City of Mississauga 100 years from now. Although none of us will be around, I am curious to know how Ms McCallion thinks the city will progress and grow. Mayor McCallion replies: It’s certainly hard to predict what life will be like 100 years from now but we can only hope that the City of Mississauga continues to be one of the best cities in Canada in which to live, work and play. I have faith that future Councils will always have the citizens in mind when planning the city, reviewing services and planning a vision for the future. One thing I do hope happens is that the City of Mississauga finally become an independent municipality, no longer part of a regional government system  although I hope it doesn’t take a hundred years for this to happen!